We are a full-fledged Digital Marketing Agency headquartered in Singapore with prime focus on SEO Sevice. Adwords or Pay Per Click(PPC) is one of the most sought after advertising model in Singapore. We feel proud to claim that we are one of the best SEM/PPC Company in Singapore that can manage your PPC campaign with highly deliverable results and definitive conversions. In PPC, you are only charged when someone clicks on your advertisement. It can transform your business into a cash cow through directly "call to action "buttons thereby leading customers directly onto your landing page, micro site or website. Internet Marketing is the science of adjusting a website’s code, web & online content and structure to make it visible on a search engine result page for particular keywords or combinations of keywords selected. 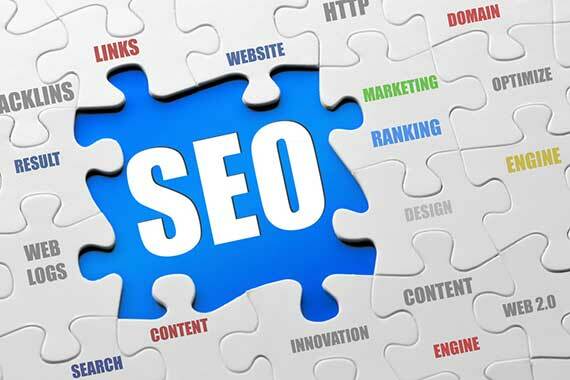 The end-goal in any campaign is to generate a ROI, and SEO Service is capable of generating very attractive returns by bringing people to your website through search engines! During this phase we would sit with your team to understand your business objectives, your services and your target customers. Each PPC campaign is different even for the same customer. So we will be setting up benchmarks, standards and defining KPIs that are to be achieved through this PPC campaign. All KPIs would be in-line with your business objectives. This is considered of the most important phase. Usually most PPC companies might provide you with irrelevant, vague or keywords with large range. So most of your budget will be exhausted without any relevant clicks or most importantly sales conversions. That is something we don't do. Our focus is on defining metrics and based on those metrics searching for keywords that can maximise positive leads and sales conversions. We weed out negative keywords from the campaign so that none of the click is wasted and we deliver consistent PPC results. Each keyword is individually studied with search metrics to understand visitor's mind-set. During the campaign is on we take utmost care to ensure only those keywords are used that are driving results and the rest are removed from the list or modified. Campaigns are monitored very diligently by our PPC experts to ensure maximum profitability. During the campaign run, we will test and experiment different PPC strategies and run only those campaigns that have proven to be profitable in terms of sales leads and conversions. Landing page or micro site will be where prospects will be redirected when the click on your advertisement. We have team of creative designers who will design your landing page so intuitive and classy that will get eyeballs rolling and glued. Here our objective is not only to bring customers here but to make sure that they buy the product or subscribe to services. This can be a nightmare for most people as so much data is bombarded from keywords to impression and number of clicks. But worry not; we simplify all the data for you in our customized reports so that you are only shown the key metrics that matter for your management. We not only give you better positions in your PPC campaigns but help you with more conversions at lower cost. Customers are everywhere looking for you but they can't find you. Through our PPC campaign we help them find you. We deliver highly targeted leads and enable customers that are already looking for your products and services over internet. We make sure that your ads appear where your prospects are looking for you.